It would be nice if every meeting could cover everything that was planned for and achieve all outcomes desired. But, sadly, that does not happen always. Often one needs to end a meeting with somethings still left undone. In such cases one needs to schedule a followup meeting. But it can be tricky to keep all the context and start the followup from where one left off. 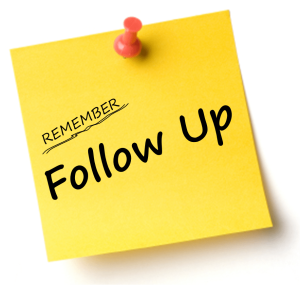 It is important to make sure one has all the relevant minutes, decisions, and action items from the previous meeting at one’s finger tips for an efficient and effective followup meeting. At other times its known that one meeting will not accomplish the goals: Followups will be needed. However, not always one can schedule a meeting series at regular intervals. Sometimes one needs to schedule one meeting and at the end of the first meeting one can schedule a followup. This is quite common in customer meetings scheduled by sales teams, but is also prevalent in some type of internal meetings. Wizergos makes scheduling and running Followup meetings super easy and effective. Follow up meetings in Wizergos not only allows you to view the Meeting Minutes but also to track all the Decisions and Action Items you assigned in your previous meeting thereby quickly bringing into focus the full context to begin a great followup meeting. Click here to check out our follow-up meeting feature.